The Kimpton Art Show, one of the major events of the Kimpton May Festival, is now in its 38th year and opens on: Friday 3rd May at 6.00pm. Kimpton May Festival attracts many visitors every year with organised events such as a street parade, live concerts, a craft fair, maypole dancing, entertainers, refreshments, market stalls, activities and competitions to suit all ages. With food, drink and music available throughout the village, it is a great destination for the whole May Bank Holiday Weekend. 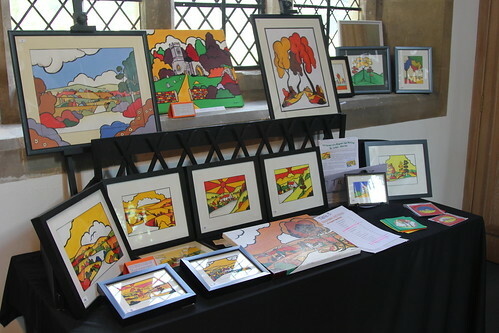 Kimpton Art Show takes place in the Parish Church of St Peter and St Paul, a Grade I listed building situated on a hill overlooking the village with spectacular views across the Mimram Valley to the east of the village. Kimpton May Festival itself, was originally set up to provide funds for the restoration of the church following the collapse of the Dacre Chapel roof. The roof has long since been re-built and although much restoration has taken place, an ongoing programme of work is necessary in order to preserve the most historic building in the village for future generations. 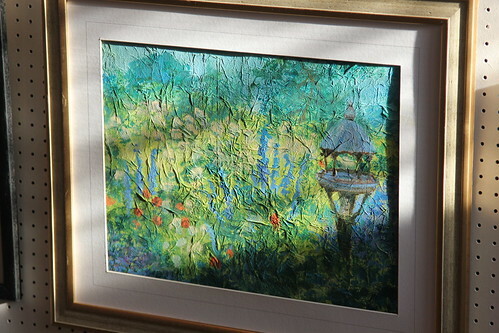 Kimpton Art Show was set up to support this work via: Kimpton Parish Church Restoration Trust, Charity No. 289296, and now splits its proceeds with Kimpton May Festival, Charity No. 1161032. Framed paintings and photographs are hung on display boards around the church and on specially constructed trestles laid across the pews. Other media are exhibited in the Millennium Room, which is enclosed by a contemporary etched door and glass partition. Although the show is open to artists of all calibres, we seek to ensure that the art show maintains its reputation for variety and quality. New artists are always very welcome to contact us. 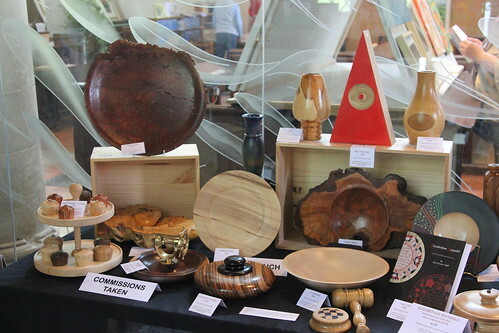 The Art Show is organised by a volunteer committee which includes local artists as well as individuals who contribute with different skill sets. 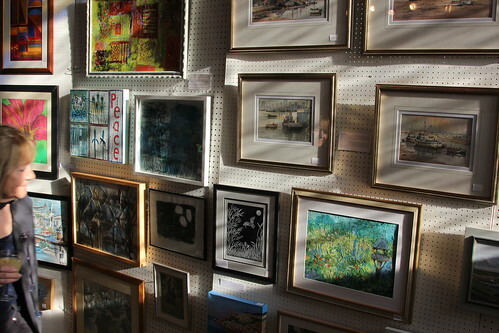 The Show also depends heavily on the support of the exhibiting artists, our sponsors and other volunteers who join in to help prepare, set up and run the show with ever growing success. 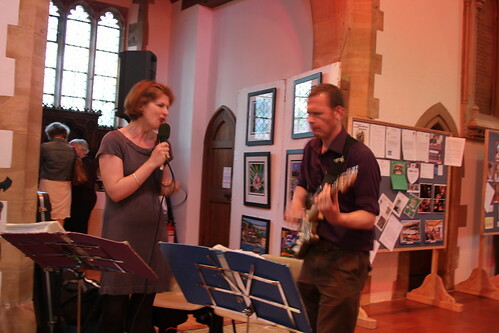 Musicians and singers, professional and amateur, perform informally in the church at various times over the weekend, adding atmosphere and a very living experience to the show. 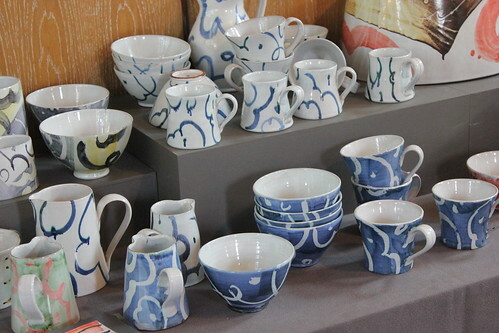 With works from £20, there is something for everyone’s budget. We look forward to welcoming you and your families to the Kimpton Art Show. You are invited to the Opening Night of the Kimpton Art Show on Friday 3rd May from 6.00 – 9.00pm. This is a lively occasion when many sales are made. It is an opportunity to browse the exhibition, meet exhibitors and listen to live music. There is an entry charge of £5.00 per person. Refreshments will be available. The Director of Bryn Mawr College Library, Pennsylvania, for permission to use the Claud Lovat Fraser maypole image free of charge for our charitable event. The College owns the original image, as well as the copyright to all of Lovat Fraser’s writings and art work.